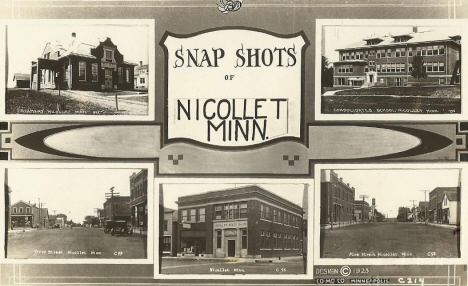 Do you have photos, historical accounts or other items pertaining to the Nicollet area? Would you like to share this historical information with the world? LakesnWoods.com would like to publish your Nicollet photos (current or historical) or historical accounts on this website. Original materials can be returned and your privacy will be respected. Nicollet is a city in Nicollet County, Minnesota. 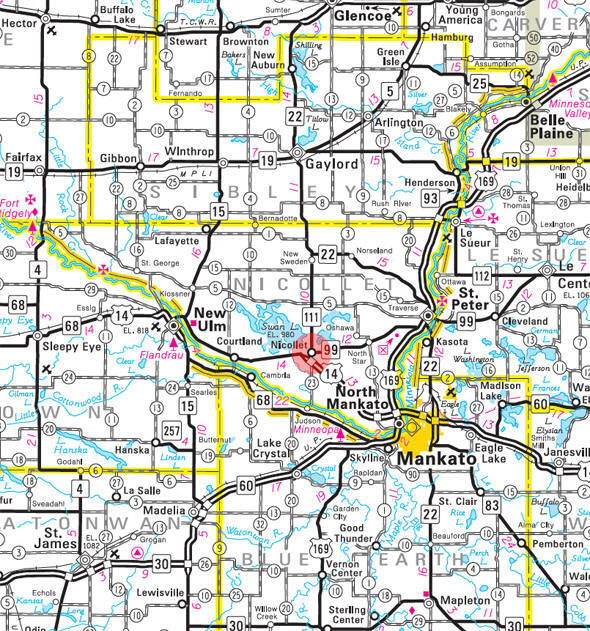 U.S. Route 14 and Minnesota State Highways 99 and 111 are three of the main arterial routes in the community. According to the United States Census Bureau, the city has a total area of 0.94 square miles (2.43 km2), all of it land. The elevation is 984 ft (300 m) above sea level. As of the census of 2010, there were 1,093 people, 429 households, and 307 families residing in the city. The population density was 1,162.8 inhabitants per square mile (449.0/km2). There were 445 housing units at an average density of 473.4 per square mile (182.8/km2). The racial makeup of the city was 98.4% White, 0.2% African American, 0.2% Asian, 0.1% from other races, and 1.1% from two or more races. Hispanic or Latino of any race were 3.4% of the population. There were 429 households of which 39.9% had children under the age of 18 living with them, 55.9% were married couples living together, 11.0% had a female householder with no husband present, 4.7% had a male householder with no wife present, and 28.4% were non-families. 23.5% of all households were made up of individuals and 7.9% had someone living alone who was 65 years of age or older. The average household size was 2.55 and the average family size was 3.00. The median age in the city was 31.9 years. 29.8% of residents were under the age of 18; 7.8% were between the ages of 18 and 24; 30% were from 25 to 44; 22.4% were from 45 to 64; and 10.1% were 65 years of age or older. The gender makeup of the city was 49.8% male and 50.2% female. 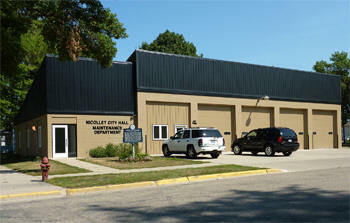 NICOLLET Township, named after the county, was first settled in the spring of 1854 and was organized May 11, 1858. An early village of this name, in section 17, was platted in 1857 but lasted only three years; "old" Nicollet was originally laid out in 1856 with a hotel, a sawmill, blacksmith shop, several buildings, and a stagecoach stop; the first post office, 1856-58, called Eureka, was a community in section 33 of 500 acres with a sawmill and moved to "old" Nicollet in 1857; the name was changed to Nicollet until April 1877; another post office was established as Nicollet Station in 1873 and combined with the first post office in 1878. The present city in sections 3 and 4 was incorporated November 17, 1881, and separated from the township on April 17, 1889; when the Winona and St. Peter Railroad was completed in 1870, the village (first called Nicollet Station) was laid out in section 3 along the tracks. I have been working in the hair industry for 18 years! I attended the Model College of Hair Design in St. Cloud. I absolustely love my job and making clients feel good about themselves. I enjoy creating a natural and professionally designed look for each client. It's fun to be creative with colors, cuts, and foiling. It's very rewarding to make my clients feel good about their hair! In 2009, I opened my own salon in my home in Nicollet and it has been a great adventure for me! In 2011, I added tanning to my business which has also been a huge success.